Investing is meant to be a tool for building wealth, but the fees associated with investing could be secretly costing you more than you know! We already established that Americans pay more in fees in general than they’re aware, but according to author Tony Robbins, as many as 92 percent of Americans don’t really know what costs are involved with their 401(k) plan…and 72 percent believe they’re not paying anything at all! Smart investors should be aware of these hidden fees. For decades the investment industry has been profiting on unknowing accounts because they weren’t required to disclose fees they charged. Many investors have lost many thousands of dollars to simple hidden fees. 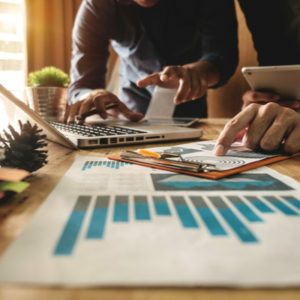 Data compiled for the Financial Times shows that the total cost of investing is actually more than twice the advertised annual management charge. But with the fiduciary rule in place (originally created under the Obama administration), financial professionals are bound to legal and ethical standards that put the investor’s interests first. Finally, after recent pressure from the government, consumers were on the brink of freedom from hidden fees. This new rule from the Labor Department, however, is still in a holding stage as Trump looks to restructure the CFPB (Consumer Financial Protection Bureau). Although requiring fee transparency is a step in the right direction, it adds another level of difficulty. 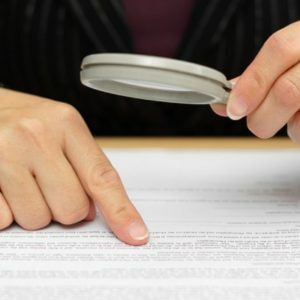 As Tony Robbins stated, “now you get a 35- to 50-page disclosure document that — if you’re a lawyer or you have a degree in finance — maybe you can understand.” As you can imagine, most disclosures are teeming with confusing terms and conditions, and plenty of tricky fine print. An investment, such as a mutual fund, exchange-traded fund or annuity is a carefully packaged product by a company. So, it is important to check into exactly what you’re buying. The best way to protect yourself from hidden fees when investing? Learn the terms and get yourself a fine print detective. Some of the fees and terms to watch out for are below. Reinvestment fees -These may be charged when you reinvest distributions back into the fund. Exchange fees -These may be imposed when you switch assets from one fund to another within the same fund company. Custodian fees -These are charged by the custodian for safe custody of financial assets, reporting and statements. 12b-1 fees – Named after the section of the law that allows them, 12b-1 fees pay for the fund’s advertising and sales expenses. Management fees – These pay the fund’s investment manager or management firm for making investment decisions about which securities to invest in and when to buy and sell. Sales load – a commission paid to the salesperson of the fund. Transaction fees – A charge for buying or selling any financial security. Often called a commission charge or trading fee. Brokerage fees – A charge for introducing a buyer to a seller in the buying or selling of a financial security. Again often called a commission charge. The bid/ask spread – The built in margin used by traders between the buy price and sell price of a financial security. Often called a mark-up. Built-in product fees – Hidden cost associated with structuring a product or fund. Cash payment fees – An administrative charge for transferring cash into or out of an investment account. Active fund manager fees/ ETF fees – Third party structuring and active management cost. Can also include additional administrative charge or upfront fees. Overdraft fees – Borrowing cost and administrative charge as a spread over interest rates. Trail fees – Ongoing commission paid to third party introducers. Sometimes referred to as a retrocession or a rebate. Performance fees – A percentage fee charged on any out performance relative to an agreed benchmark. Although it is quite an extensive list, that’s not even all you could be paying unknowingly for your investment account. And fees always feel extra outrageous when they are a surprise. There are, however, some tools to keep you on top of the investing game and avoid “Retirement Planning for Dummies”. There are many resources online from very reputable sources about learning to invest. Aside from reading books or white papers, listening to financial podcasts, or even taking a free, online class from a university, there are simpler things you can do too. 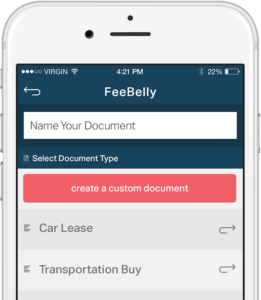 FeeBelly, the free contract review app acts as your own personal fine print detective when reviewing financial agreements. Nervous that you’ll miss one of these fees in the miniscule type at the bottom of the page? Don’t be! 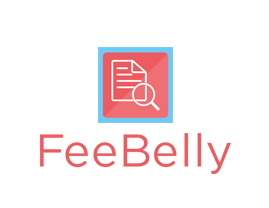 While it is important to understand the foundation of your investment, you can rely on FeeBelly for peace of mind to help spot hidden fees when investing. Don’t be that guy (or girl) that is one of 92% of Americans who don’t know what they’re paying!